Sometimes your fantasy village is ransacked and destroyed by barbarians. These things happen. Sometimes you have to endure great hardships and move on to find a better place to live. These things happen, too. Thankfully, you’ve found a new place to call home. It’s not just any plot of land. There’s a mysterious cave system beneath the homestead, and so you begin to rebuild your village, above and below. 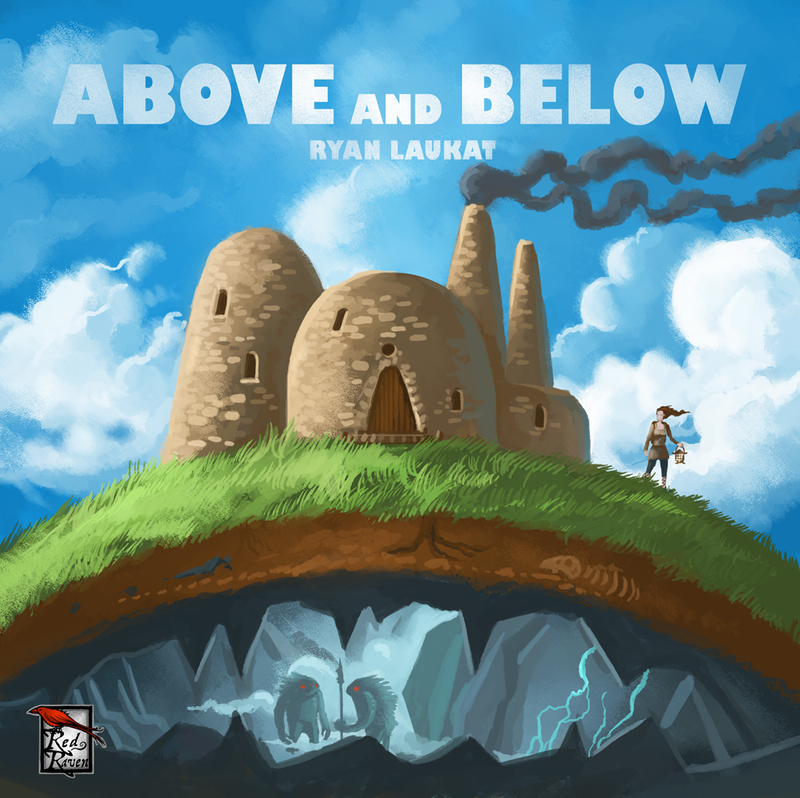 This is the set up to Ryan Laukat’s Above and Below board game, featuring a creative mix of Euro-style game play with a refreshing sideline of RPG-like, choose-your-own-adventure paragraphs, complete with dice rolling and thematic flair. 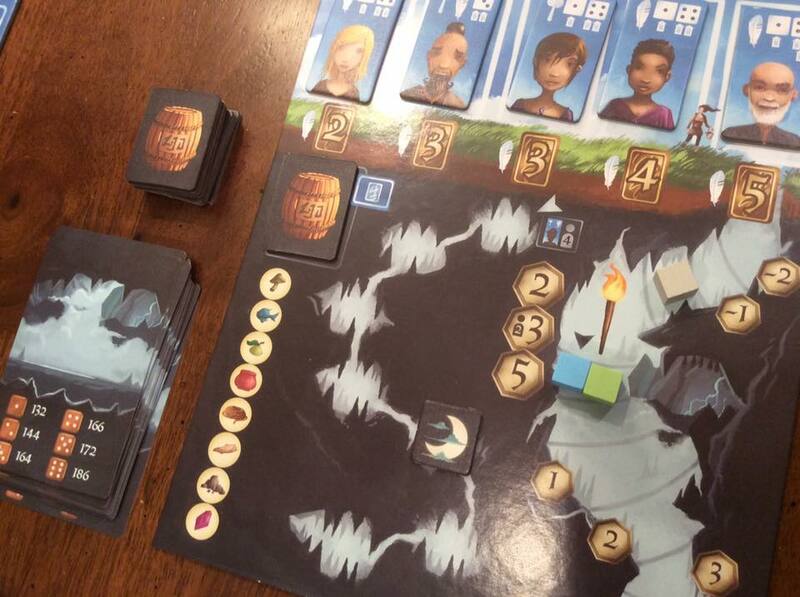 To win you need to build the best village (tracked through Village Points) in seven rounds. During each round players take actions by exhausting villagers, most of which are better suited for one task or another. But just like real life, some villagers are the “Jack-of-all-trades” type, and a few others scream out to visit the vast network of underground caves. One of the most interesting actions is exploring below ground with two or more of your villagers. Just ask my friend, Chris. You’ll sometimes find him exploring at the expense of perhaps “better” actions, just because exploring is “so awesome.” I tend to agree. Other than the fun factor, there are a few important reasons to set your sights on exploring. An important one is that when you succeed at a dungeon delve, you open the possibility of building an underground structure. Think of it as clearing out an area and making it safe to occupy. In game terms, you can now purchase a card from the line of available Outpost Cards. Your adventures will always present you with options. Depending upon the capabilities and number of villagers selected in your adventuring party, you make a decision and roll some dice. Good rolls net goodies, such as coins, prestige (or lost prestige if you do something morally questionable), various goods (such as fish, rope and ore) and a place to “build” a new structure in your village. Bad rolls can mean losing prestige or simply wasting a turn without gaining anything. Laukat’s art style features a pleasant, “soft” color palette with smooth edges and character portraits that evoke a whimsical and magical feel. Note that the Build action is only available to villagers with a hammer icon, and the Recruit action is only available to those with a quill icon. The dice dictate the roll needed (or higher) to gain the number of successes (depicted as lanterns) below each die. (Die rolling occurs while Exploring.) 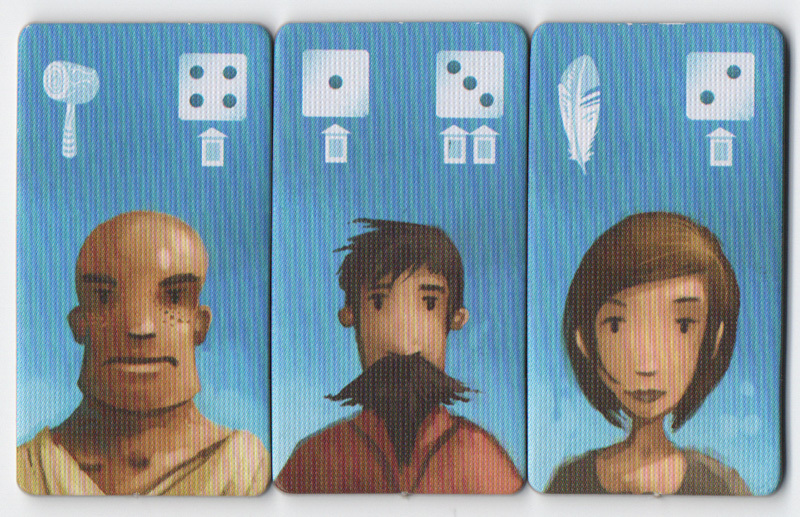 For example, the middle villager gets one success on a die roll of 1 or 2 and two successes on die rolls of 3 or higher. You can exhaust a villager to add an additional success to her die roll, but the consequence is your villager becomes injured. Your remaining actions, all of which require one villager, include spending money to build something from the available face-up cards, harvesting a good from one of your existing cards, recruiting a new villager from the villager pool, and laboring, which is a way to gain some coins. You can use as many villagers as you wish when choosing the Labor action to gain additional coins. 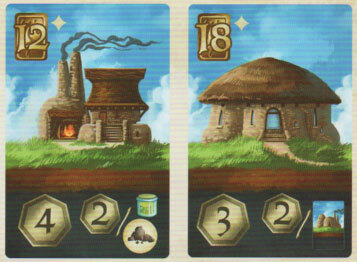 The card pictured at left costs 7 coins and features a bed to rest one villager, as well as two end-of-game village points. With all that work expanding your village, it’s time for your villagers to rest. Rather than just reset them to take actions again next round, Above and Below uses beds! 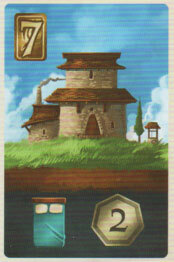 You get three beds (pictured on a starting card) to begin the game, but after that you’ll want to support your growing village with future buildings that include a bed icon. Each bed “rests” a villager at the end of the round. Keeping the number of beds and villagers as equal as possible maximizes your actions. 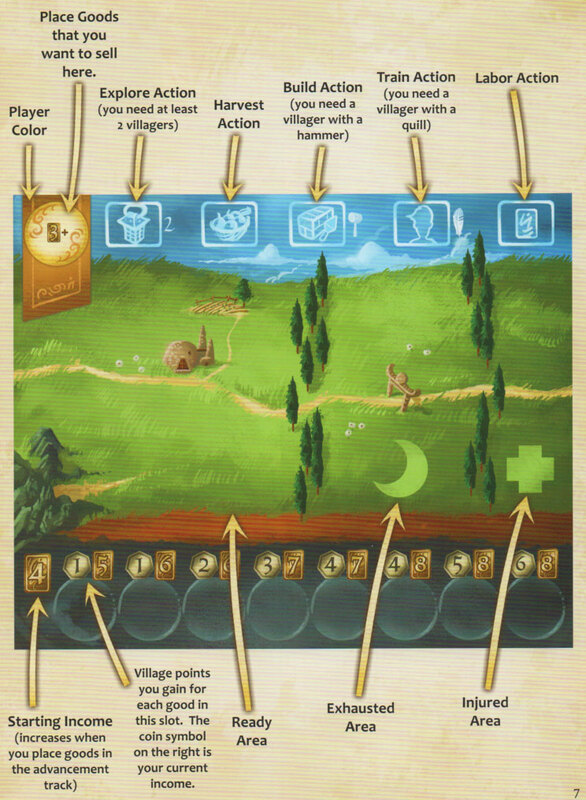 Tracking in the game is handled on a simple player board (see image below), as well as on the village cards being built. Icons along the top of the Player Board depict the actions you can take. The bottom of the board tracks income and village points for goods gathered. Simply, as you harvest goods off of cards or find resources underground, you stack them into the circular track along the bottom of the board (from left to right). For example, if you have different goods in each of the first three circles, your income per turn is now six, the furthest spot along the track. The other number represents village points in final scoring. For each good of the same type stacked on any given circle, you receive a number of village points equal to the number of goods there multiplied by the number above the circle. Four mushrooms stacked in the fourth box would be worth 12 village points (3×4) at the end of the game! This graphic from the rulebook says it all. Click on it to view an even larger version. The card on the left costs 12 coins to purchase and will grant 4 Village Points at the end of the game, plus 2 bonus Village Points per Ore and Potion in possession. The card on the right will grant 3 Village Points, plus 2 Village points per House Card built. With all the actions available to you, ultimately a big part of this game is keeping an eye on the wide variety of House Cards and Outpost Cards. Remember, Outpost Cards may only be purchased (via the Build action) when you have succeeded while exploring. The play area begins with a whopping 18 cards face up in the play area, some of which are the same every game, four of which are randomly selected and not replaced as they are depleted, and two rows of four cards each that are replaced as they are purchased. These cards contain a variety of perks, game-ending multipliers for bonus village points and resources. There are too many to mention, but you should know that some of the cards feature resource icons on which you place resource tokens. The harvest action mentioned above is how you “harvest” a resource icon from the card and add it to your Player Board. Some resources will refresh at the end of each round, while others are finite. 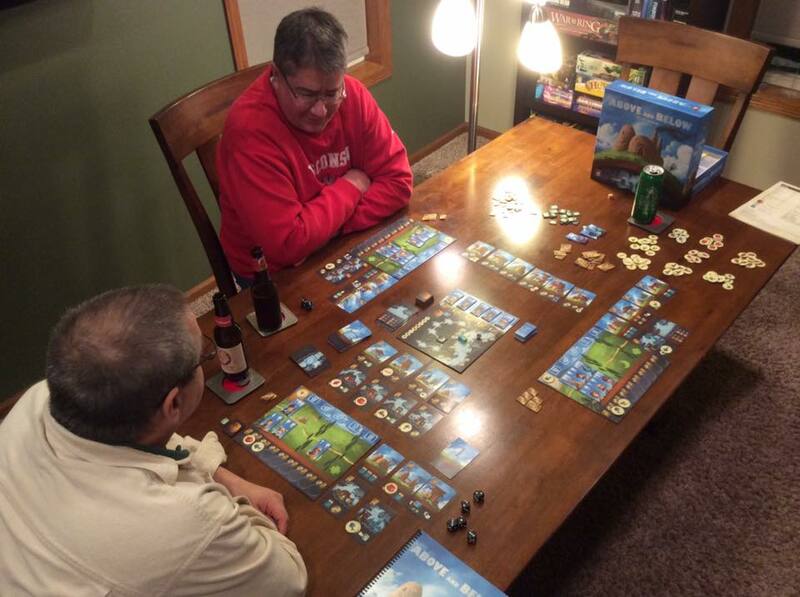 My enjoyment of Above and Below has much to do with the ease of play and happiness it invokes. The adventure paragraphs written by Laukat and a few other writers are imaginative and plentiful (215 paragraphs) and feature such fantastical creatures as the stone-skinned Glogos, kindly Fishfolk, The Moss King, and much more. The whole package instills a sense of “place,” and the world feels truly alive. The pacing is quick, and there’s plenty of decisions on how to best spend your villagers’ actions. Furthermore, the game has multiple paths to victory. 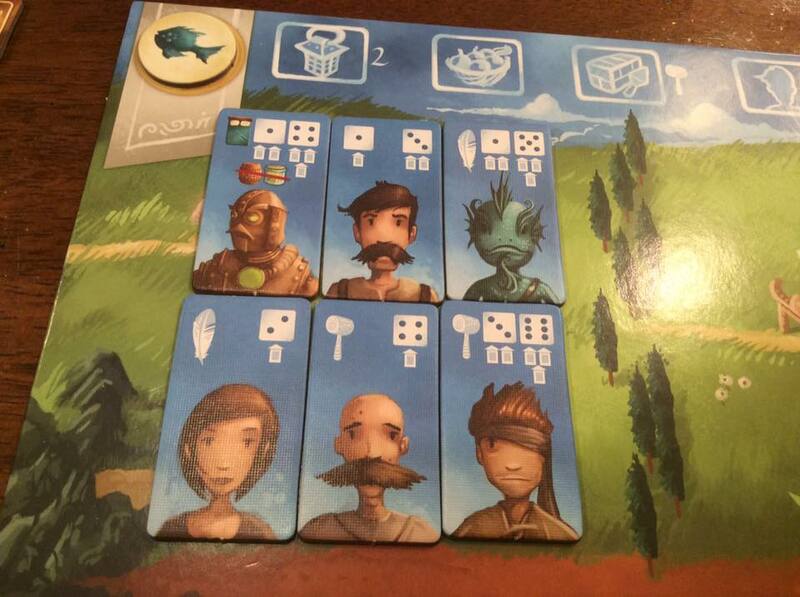 You can go heavy on harvesting goods from cards, and stacking them up and along your Player Board to maximize points, or you might focus more heavily on the luck of adventuring in order to gain resources and income, or you may attempt a balanced approach. In our games, we’ve seen victories on both ends of the spectrum and everything in between. The impressive thing about Laukat — in case you’re not aware– is that he is a real-life sorcerer. Okay, not really, but it seems so to me. Laukat has the enviable skill sets of game designer, writer and illustrator all within a single lifeform. Yes, I know, that’s just not fair, but this fusion of art, theme and mechanics by a solitary creative mind results in a cohesive experience that is uniquely Laukat. That’s not to say he doesn’t have some help from others along the way, but hand me a game I have never seen, and it’s ingenuity and style will surely reveal itself as a Laukat design. That is truly a wonderful thing. For anyone who stuck around this long, pictured here is the Reputation Board which tracks game turns and reputation. Reputation can be lost and gained while exploring. Village Points are awarded to players at different intervals along the track, as well as bonuses for being first, second and third. Also, check out those cider tokens. If you’re the first player to use the Labor action on a turn, you get a cider token. Cider tokens may be turned in and act as a temporary bed when refreshing villagers at the end of a round. Thanks for the Above and Below review. Nicely done. I too am a Ryan Laukat fan. I especially like his artwork. You can recognize it a mile away. I’ve played this game and some of his other titles like City of Iron. Have you played all of his? Hi, Gary. Thanks for taking the time to write. I haven’t played City of Iron, but in addition to Above & Below I’ve played both 8-Minute Empire games and Archeology, Inc. City of Iron looks great! 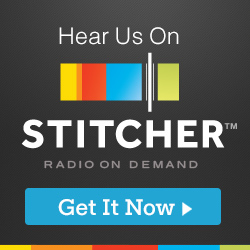 We keep hearing great things about this. Can’t seem to keep it in-stock long enough to get a copy for myself at least. Yes! This is a very good game. I hope you get your hands on a copy soon!